When it comes to doing business on the Internet, your domain name is an extremely important part of establishing your brand. You want to provide your customers with a domain name that they can quickly punch into their browser in order to go straight to your official company website with no delays - and no side trips to any competitor's site - along the way. In order to accomplish this important goal, it's an excellent idea to spend a good deal of time and thought in choosing your domain name. And, once you have chosen your name, it's time to build a company website that is worthy of it. When Is It A Good Idea To Transfer Your Domain Name? rt move to transfer your domain name from one site to another, or from one domain hosting service provider to another? As it turns out, the answer is as simple as it is clear: Absolutely! For example, if you are unhappy with the website that you have built with the tools that have been provided to you by your current domain host, it may be time to let your agreement with that provider lapse so that you can build a new site altogether. Of course, you will also want to transfer domain name services to your new official website in order to keep the name. You will want to make sure that the transition from your old location to your new one is as smooth and quick as possible. Your main concern should be to minimize the down time during which your official company website will be offline and unavailable to your customers to make use of. Is It Hard To Transfer Your Domain Name To A New Location? 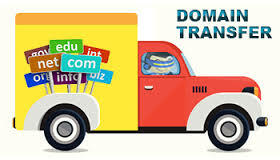 With the correct amount of planning and effort, it will be relatively easy to transfer your domain name to a new service provider and a new location. It's important to make sure that you are getting a full range of services from your new provider before you agree to sign on the dotted line. 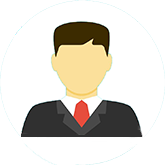 For example, you should be absolutely certain that you will receive full online customer support that can be relied on at all times of the day and night. A full range of e-commerce software should also be included in your service package, since this will be the means by which you sell items directly to your visitors. Once you are satisfied with the services that are included in your new domain hosting package, it will be a simple matter to transfer your domain name from a previous location to a new one. As noted above, the most important concern will be to ensure a smooth transition so that you will not be plagued by any down time between the closing of your old website and the launch of your new one. This is why it is so important to have your domain name transfer arrangements arranged well in advance of your actual move.